Harold “Bud” Boughton has always been a coach and an educator at heart. Whether it is coaching out on the football field, teaching in a college classroom, or guiding a young sales professional trying to close a transaction, there is nothing he enjoys more than helping others achieve success. His ability to inspire, coach and motivate salespeople is extraordinary. Bud’s background and experience in intercollegiate athletics and the business world have given him keen insights into human emotion and behavior. A former Academic All-American football player and college football coach, he clearly understands the importance of teamwork and the need for open and honest communication in order to create an environment for success. In his career he has held sales positions with Procter & Gamble, Xerox and IBM and in doing so, received some of the very best sales training available in corporate America. Most recently, he spent 4+ years with IBM as a Client Executive/Hybrid Cloud Sales Specialist giving him excellent familiarity with Cloud technology, SaaS, Analytics, Mobility strategy and more. But as a sales professional, Bud has never believed that anyone had ever really ‘figured it all out’ when it came to sales. That is exactly why Bud has been a life-long student of performance improvement strategies and techniques. He has always been passionate about looking for new and better ways for sales professionals to communicate their ideas and concepts more effectively. Combine this passion with his innate coaching abilities, and it’s no wonder he became a master at building sales teams from scratch, revitalizing struggling sales organizations and educating sales and customer service professionals. 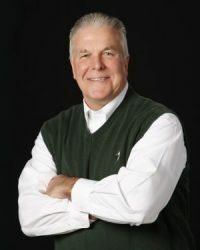 As a writer and thought leader (three books and numerous articles and blogs), Bud’s opinions and comments have appeared on the pages of FORTUNE magazine, INC. magazine and numerous trade publications. As a professional speaker, he has done numerous speaking engagements at various business forums and technology conferences as well as having guest lectured on multiple college/university campuses across the U.S.
Now, in 2018, he is making his talents as a sales coach and educator available to companies throughout the U.S.
How can Bud Boughton potentially help your company? Matthew Geer, Director, Financial Services Practice, AVNET, Inc.
To contact Bud Boughton for his Sales/Business Development Consulting Services or a Professional Speaking Engagement, click the button!